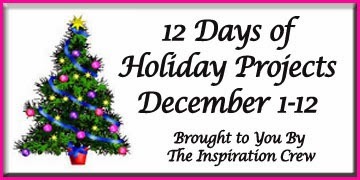 Welcome to Day 12 of the 12 Days of Holiday Inspiration Blog Event brought to you by "The Inspiration Crew". We’re just a group of online crafty friends who love being creative. This time we're doing a 12-day event to provide you with tons of Holiday Inspiration. Today I'm sharing some cards that are similar in design to ones I showed earlier, but I actually made these first in July. 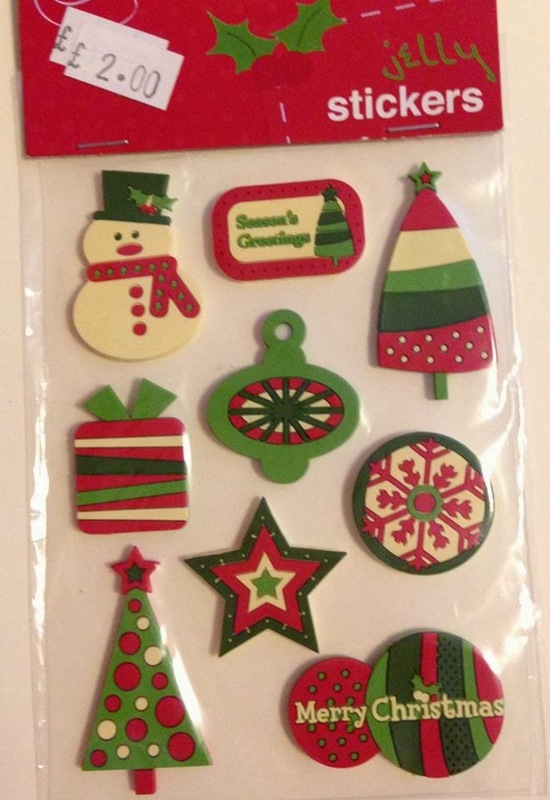 I bought these awesome Christmas Embellishments on clearance at a really cute paper crafts store called Blade Rubber Stamps in London (near the British Museum). I knew I had this old Christmas paper from Stampin' Up that would match them so I couldn't resist picking them up and they were easy to pack in the suitcase. I added pretty pleated ribbons (like the ones I showed earlier in blue) to some cards and seam binding to others. I also accentuated the embellishments with coordinating circles and scallop circles. And, to continue the theme of using what you have, besides my cute embellishments, I didn't purchase anything for these cards. They all came from my huge stash. Here are several of the cards I made. They were quick and easy and fun. I hope you've enjoyed our 12 Days of Holiday Inspiration 2013. Be sure to follow our Pinterest page HERE where you can sell all the fun ideas in one place. Be sure to check back here Friday, December 13 to see who my winner is for the $20 Michaels gift card. you were able to make so many, that is great! i remember when you bought those cute stickers :) you put them to good use!!! Love these adorable cards! This has been such a fun event for our group! Quick and simple yet, really cute! So adorable and cheerful! Great use of those stickers! Fabulous grand finale project Donna....I should say projects! Wow - these cards are smashingly festive! Nice bright, vibrant colors with sweet embellishments that are sure to bring a smile! Another great time saving way to create a collection of amazing cards! Thanks for all your work organizing this fun, fun hop! Love the embellishments... that was a great find! They look great on your cards! Lovely cards - great papers. Wonderful cards make with these stickers. I have enjoyed the 12 days of inspiration. wow these are amazing.. love those stickers..
عندما تتصل بخدمات مؤسسة الوطنية للنقل ( افضل مؤسسة نقل أثاث بالعاصمة السعودية ) وتطلب الخدمة التى ترغب بها، يقوم مجموعة عمل المؤسسة على إرسال عدد من الفنيين والمتخصصون بهدف القيام بعملية معاينة العفش المخصصة بك، لأجل أن يتم تحديد اعداد الأثاث المرغوب نقلها مع تحديد أشكاله أيضاًً.